Personalised sticker. Are you struggling for ideas on what to get for fathers day? Why not try this unique and original wall sticker. 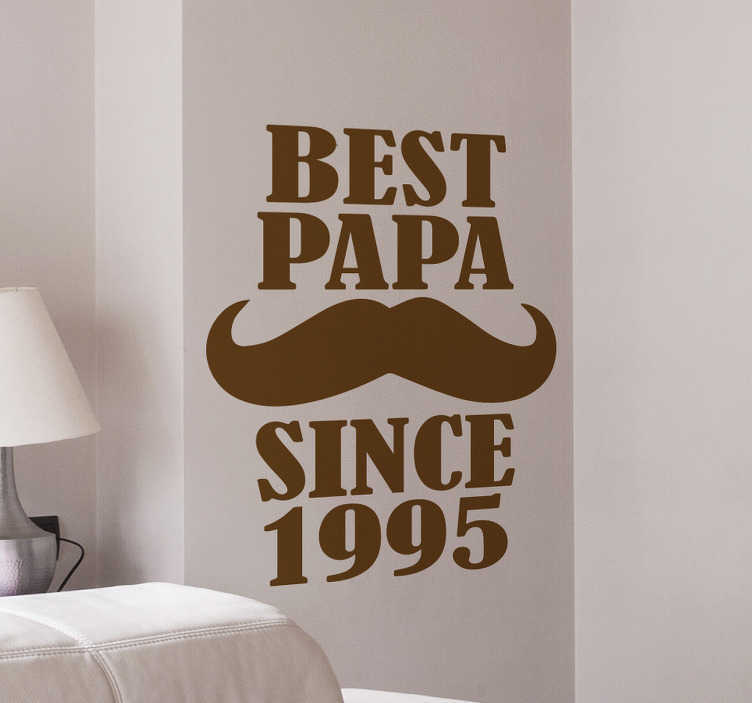 The removable sticker consists of the text "Best papa since" and the date he became a father. Personalise this custom sticker by entering the year he became a father in the comments section of the order. This sticker is available in a variety of sizes and colours, so be sure to choose a colour he would like.